A failed bill had aimed to revamp craft-brewing regulations to make Maryland’s landscape competitive with neighboring jurisdictions by removing limits on sales, production and self-distribution. ANNAPOLIS, Md. — The state’s craft brewing community and its allies failed this year to persuade the legislature to ease restrictions on the production and distribution of craft beer, but the industry expects to try again next session. The Reform on Tap Act (HB 518) was piloted by Franchot and supported by more than 90 county executives and local government officials, the Brewer’s Association of Maryland and virtually every craft brewery in the state. 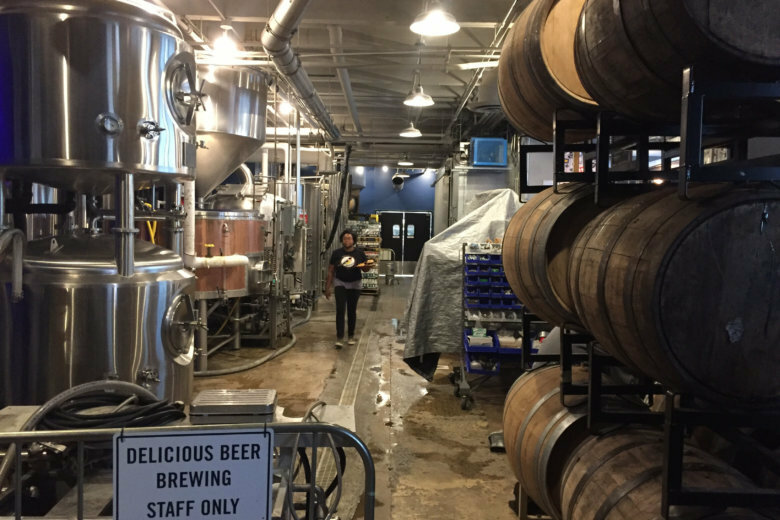 Franchot’s bill aimed to revamp state craft brewing regulations to make Maryland’s landscape competitive with neighboring jurisdictions by removing limits on brewery taproom sales, take-home sales, production and self-distribution. The bill also proposed eliminating two provisions that brewers have expressed are especially crippling: franchise law, which they claim unreasonably handcuffs their operations to wholesale distributors, and the buyback provision, which forces them to purchase their own product from wholesalers at retail price after surpassing the taproom sale limit. In spite of a strong public showing by brewers advocating for sweeping reform, the House Economic Matters Committee killed the bill widely favored by the craft beer industry. Maryland has a three-tier system for craft brewing that includes manufacturers (brewers), distributors (wholesalers) and retailers (stores). As the craft industry in Maryland continues to grow, brewer Julie Verratti said, franchise law has proven to have unintended consequences, as distributor consolidation is making it difficult for small operations to effectively sell their products. At a Feb. 23 committee hearing, some state legislators charged that Franchot had been soft on enforcing alcohol regulations and that the Reform on Tap Task Force behind his bill failed to consider public safety and welfare in its research. “What I found particularly alarming was that the chief regulator and enforcer of our state’s great alcohol laws has made a crusade of passing this legislation that will create an unprecedented expansion of alcohol availability on our state,” Del. Ben Kramer, D-Montgomery County, said at the hearing. “The impression that we’re somehow harming brewers — we created the industry in Maryland,” said Del. Warren Miller, R-Carroll and Howard Counties. “If you’re actually concerned with the amount of alcohol consumers are drinking, you should be limiting how much distributors and retailers can sell … and how much out-of-state and big beer brands can come in,” said Verratti, who is also a board member of both the national and state craft brewing trade associations. Jeff Kelly, the comptroller’s Field Enforcement Division director, compared Maryland craft beer laws with those of Virginia, Delaware, Pennsylvania and D.C. Across the board, the Reform on Tap Task Force found that Maryland’s craft brewing landscape is generally more restrictive, he said at that February hearing. In 2016, Maryland’s craft brewing industry employed more than 6,500 people and had an overall economic impact of more than $630 million (which ranks Maryland 47th in the nation in the craft beer industry), according to a 2017 report by the Bureau of Revenue Estimates. The report also states that Marylanders consume about 275,000 barrels of craft beer annually, but the state’s breweries only produce about 245,000 barrels.